Shabby Chic Skeleton Clock in Grey. Handmade from large panel of wood. 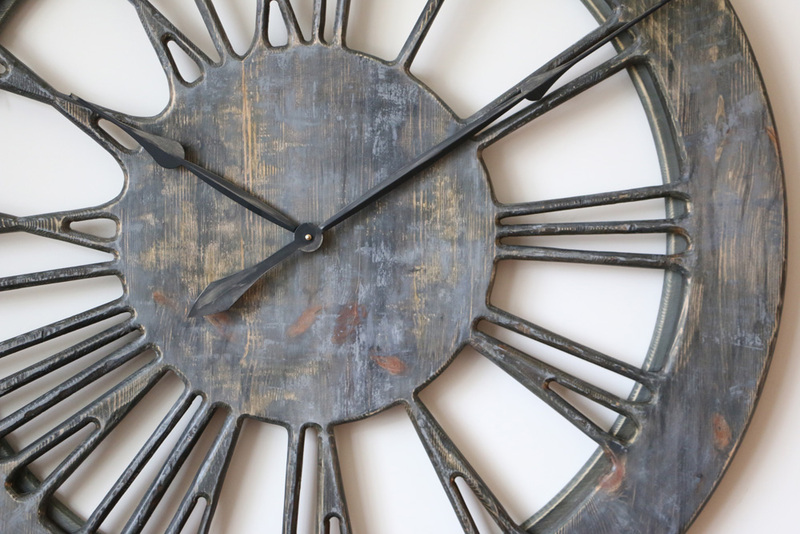 This grey shabby chic skeleton clock is handmade from a single large panel of sustainably sourced pine wood. It is a member of the new family of hollow clocks. 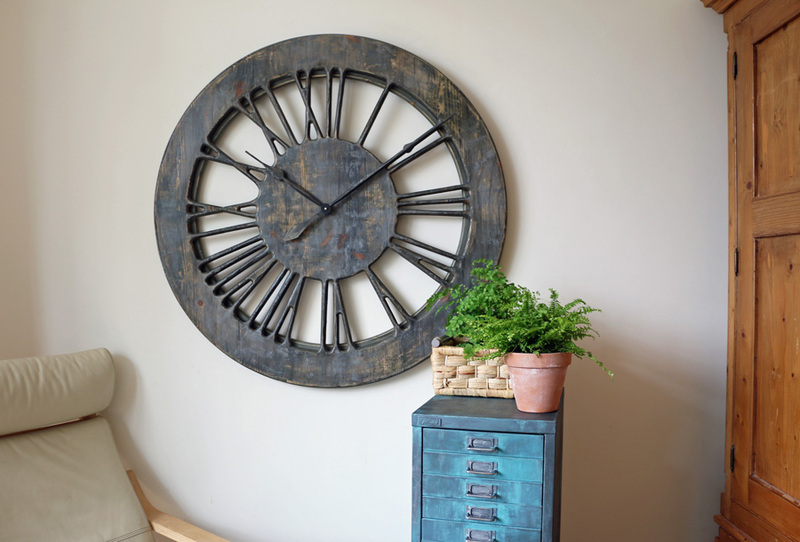 The clock face is displaying carefully hand crafted Roman Numerals on a Shabby Chic wooden frame and you can see the wall between the numbers. 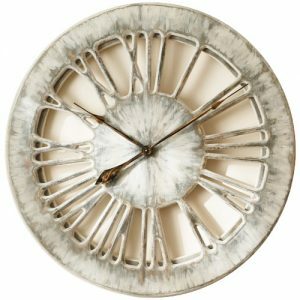 With a total diameter of up to 120 cm and its unique design, this timepiece will look absolutely incredible in the most stylish interiors. 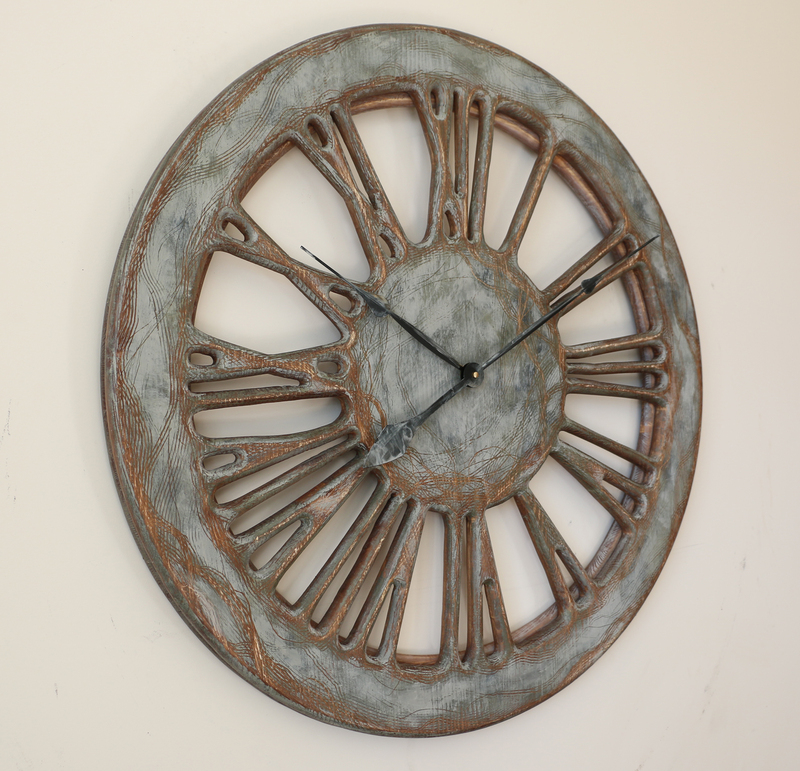 Our wonderful shabby chic clocks are eccentric pieces of art for your unique environment. All of them would look absolutely stunning in the most stylish interiors. When you look at this bespoke timepiece, you see how the beautiful front displays large hand carved roman numerals. Also, the lightweight, skeleton design means you don’t need to worry about matching the wall colour. The face is simply one of its kind, hand painted with distinct features to add more character. 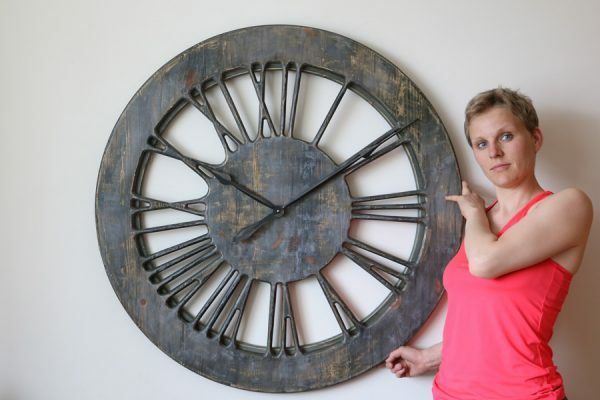 Please have a look on the video below and hear me talking about this fabulous artistic piece. 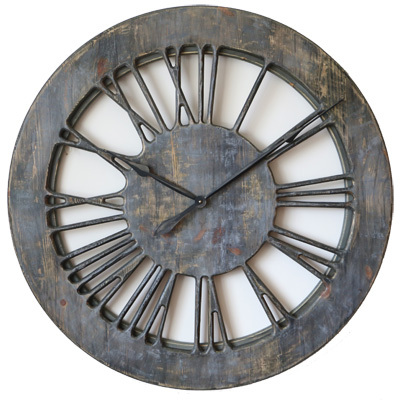 Peak Art’s shabby chic skeleton clock is not just a time telling device. 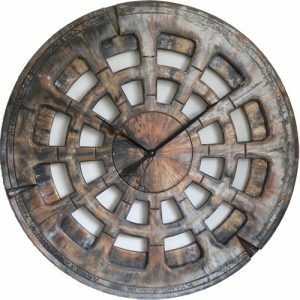 It is also a remarkable decorative item with a true “wow” factor. In order to get this so desired “wow” effect we cut the face out from a single large panel of pine wood. Doing so adds unique beauty and natural appearance. The narrow circular rim at the back provides astonishing three dimensional look. It also helps in covering the most powerful Quartz sweep mechanism. 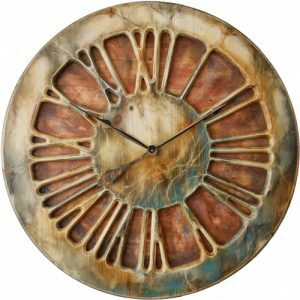 Are you looking for an expensive handmade gift for someone you love or care for? 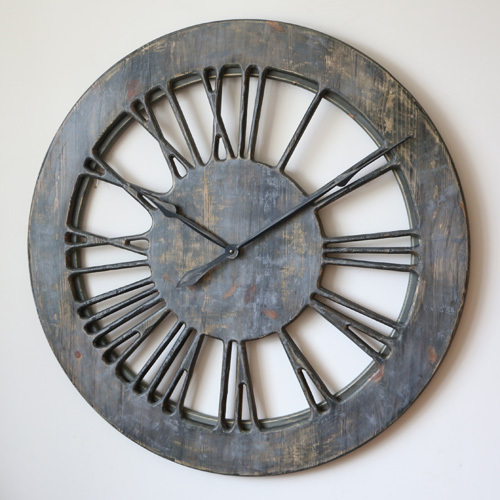 Maybe you are trying to fill empty space on your wall with something unconventional? You no longer have a choice between large painting or mirror when it comes to filling empty wall area. 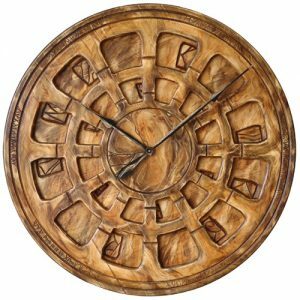 This is because all timepieces from Peak Art are absolutely sensational new interior design trend. We believe that they will become fashion in the years to come. 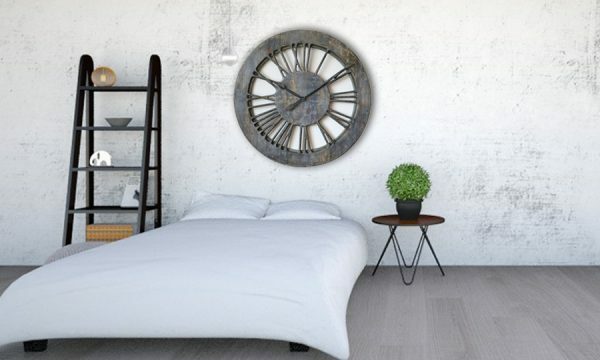 There are many places where you could hang our skeleton clock. It could be your place of work, hotel reception or even penthouse apartment. Regardless of its final place it will never fail to impress anyone coming across it. 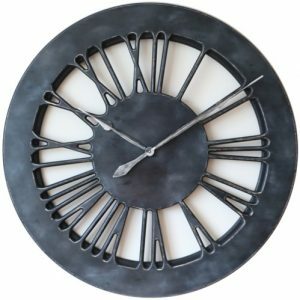 Please read more about our skeleton wall clocks in the blog section and don’t forget to post your comments!